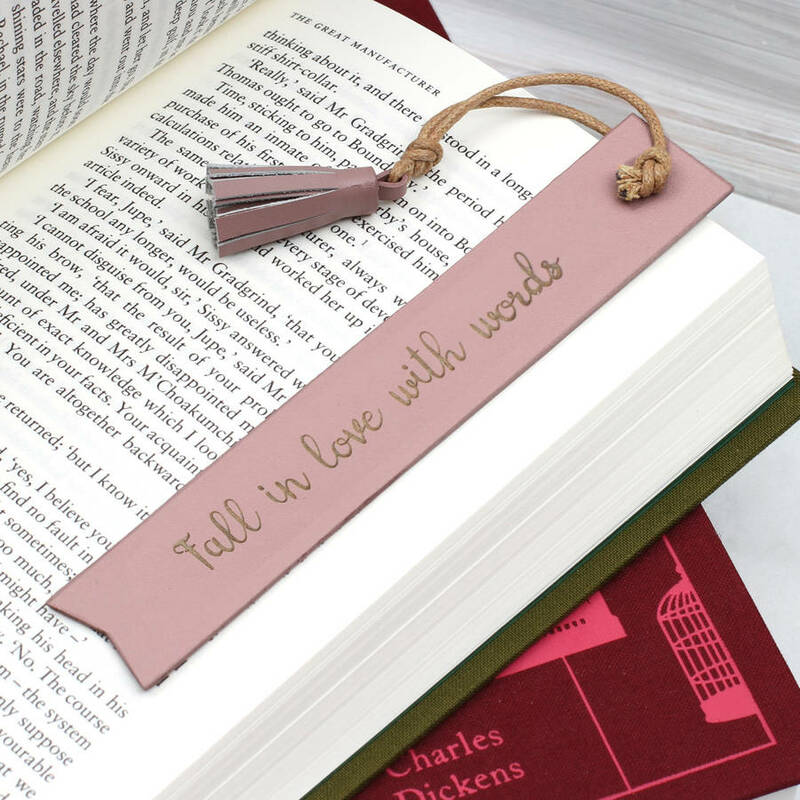 name for personalisation option 2, 3 and 5 or your own words for option 6. 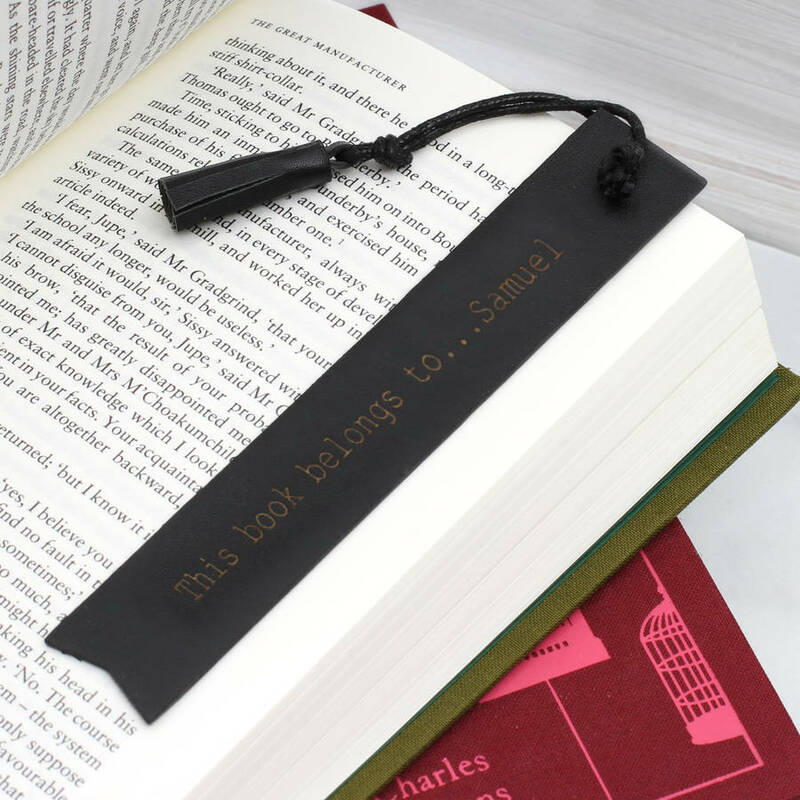 This tactile leather bookmark can be personalised with any of the sayings shown or your own words to create a useful and treasured keepsake. 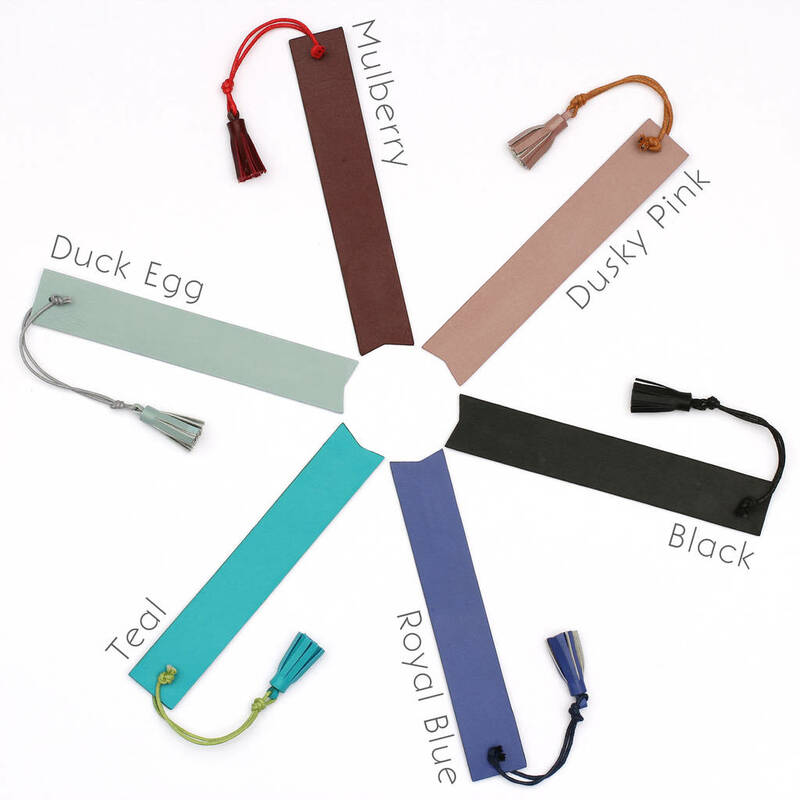 The leather bookmark is available in duck egg, mulberry, dusty pink, teal, royal blue and black. 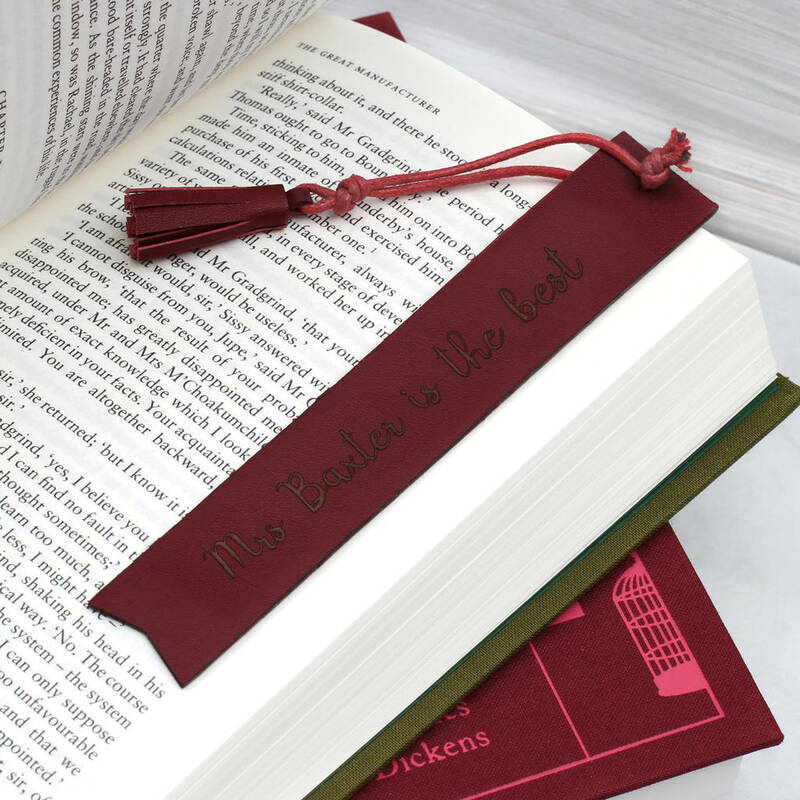 A perfect gift for a 3rd Anniversay leather present. 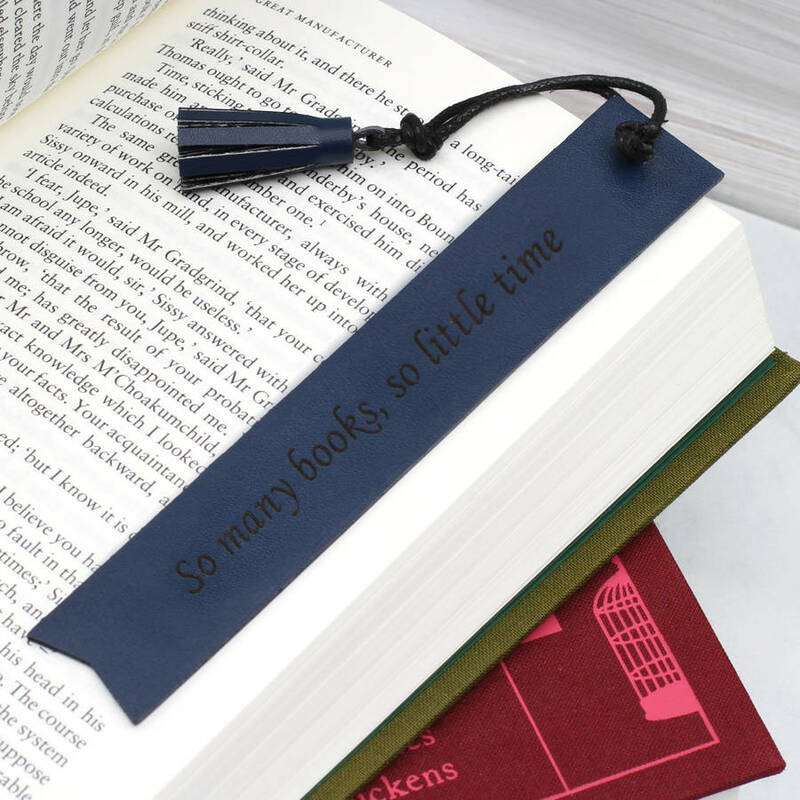 We can personalise the bookmark with up to 30 characters in a variety of font styles. 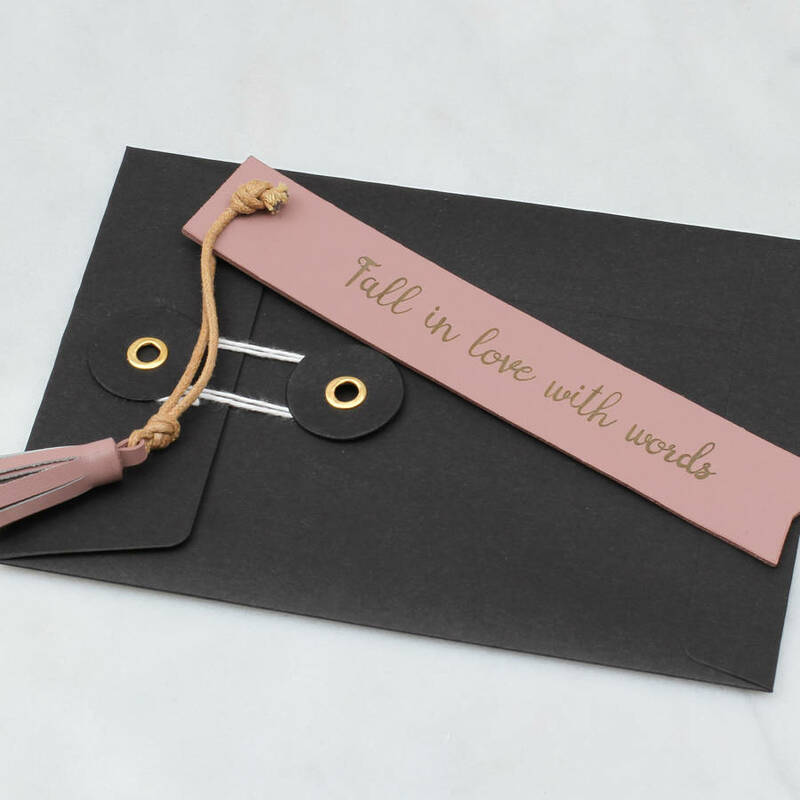 Your item will arrive in a vintage style envelope, we can add a gift card for your special message.